In October 2017 Mark took part in Exeter Chiefs European Cycle Challenge and this year he’s doing it all over again! Last year the charity ride saw the group travel from Exeter to Montpellier to watch a game between the two sides. The event raises money for the Exeter Foundation and this year will be the fourth challenge for the Chiefs Cycling Club. This year the cyclists will tackle a 520-mile route over six days, starting at Sandy Park in Exeter on October 14th. 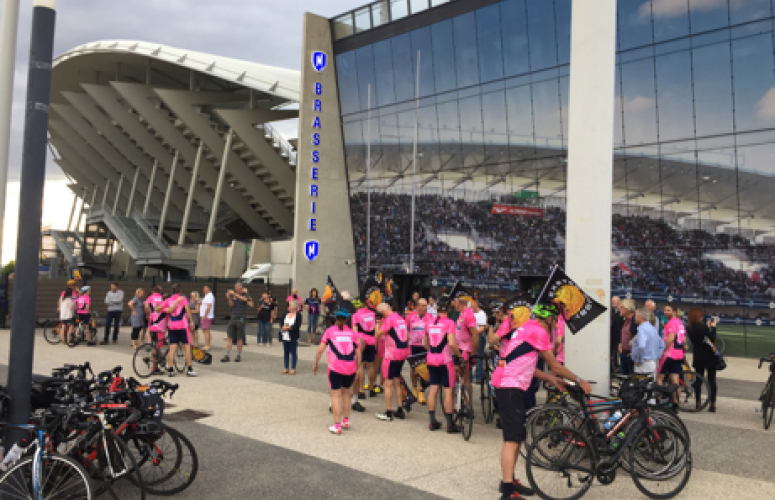 They will ride to Plymouth and take the overnight ferry from Plymouth to Santander before they embark on a picturesque route through Northern Spain, the Pyrenees and Southern France, before joining the rest of the Travelling Tribe in Castres 24 hours before the Chiefs play their Pool 2 fixture on Saturday, October 20 (2pm). What is your motivation for doing the ride? I like an adventure and find it easy to say yes to most things. Like many, I have found cycling to be a good active hobby that doesn’t remind you that you’re not as young as you used to be. The combination of indulging my favourite hobby for a week and going to new places is pretty irresistible. The Exeter Chiefs Cycle Club who organise the event are a great bunch of people to spend time with. There is a wide range of abilities and the friendships made through shared experiences are really life-affirming. 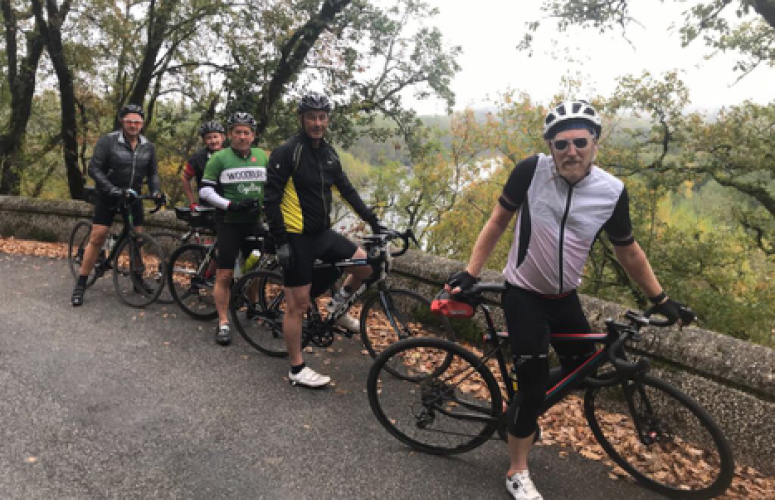 There is a charity connected to the even and although one of the main aims is to raise money, I can say that although the mileage is a definite challenge, a week’s cycling is pure joy, even the uphill bits – when you get to the top. Are you able to tell us a little more about the charity? The charity is the Exeter Foundation which currently supports 20 charities and organisations that are based within the wider Devon and Exeter. These organisations assist in coordinating and collecting all the money on the match days for the current season which is then shared across all those who assisted in the collections. If you would like to donate to support Mark you can do so on his Virgin Giving page. If you are interested in becoming a designated charity for the 2019/20 season, please email enquiries@exeterfoundation.org.uk. What’s the training plan and preparation involve? I am still a relative newcomer to cycling – about 5 years since I renewed a teenage pastime – so my training is an evolving process. Last year’s training appeared to work for the 650 miles 6 and half day trip from Exeter to Montpelier. The plan is to build up from my average weekly mileage, which is about 60 miles, to doing 200 miles over the weekend the week before we leave. I think I am head of last years programme, which is good, but as we are going over the Pyrenees this year I need to add in a bit more hill climbing. Which place you’re most looking forward to seeing? We start the European part of the trip from Santander and I am a big fan of Northern Spain. Great food, spectacular scenery and very little in the way of English tourism. I am particularly looking forward to going back to San Sebastien and hope to catch up with Izadi who interned at Fruition about 5 years ago. A tour of the Pinxos bars in the old quarter is a must for anyone visiting the city. Are you able to tell us more about the experience you had on last years ride? Last years ride was one of the most enjoyable experiences I have had. Day two we arrived in Roscoff, France as the tail end of the Atlantic storm clipping the Brittany coast. 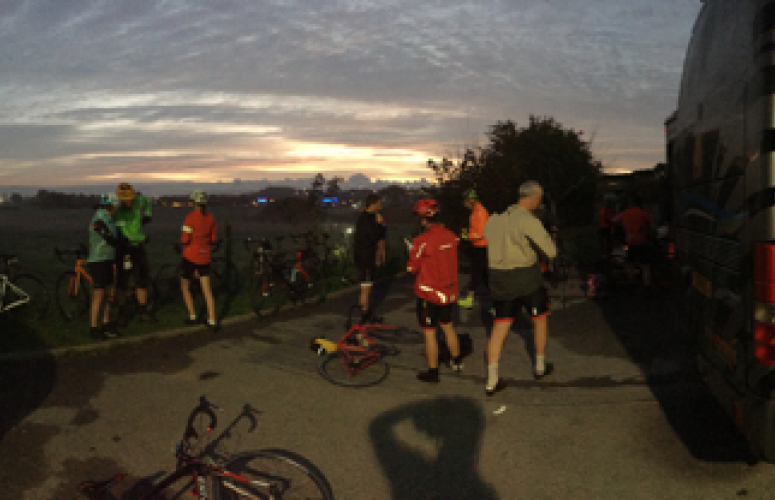 We set off from the port car park in the dark with force 4-6 headwinds. 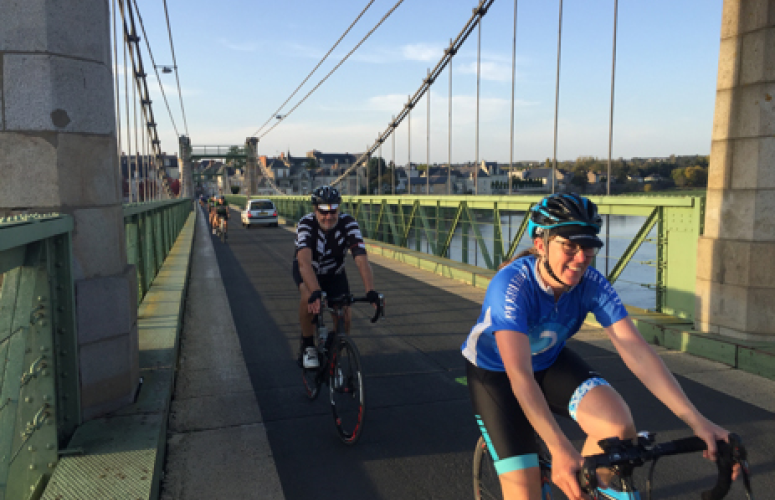 117 miles later we arrived in Vannes, my first 100-mile ride. Much to my surprise and relief, I felt fine the next day and each of the following days. I kept up with the team – until day 6 when I struggled. It was fairly up and down with a 1000 ft climb at 94 miles. Day 7 into Montpellier started with a climb through the stunning La Virenque river gorge. We topped out through a mountain tunnel then descended for 2000ft over 27 miles. Incredibly the oldest rider was 70, the fastest 62, and they were amongst friends. The training I did clearly paid off but I think the company and the scenery also kept up my motivation to complete each part of the ride. The rest on the return journey was much needed and well deserved after 520 miles I had covered on my bike over the week. We will be sharing photos and day by day summaries of Mark’s ride on our social media channels: Facebook & Twitter. The updates will begin shortly after the start of the ride on October 14th. Below we have included some of the snaps Mark took on his journey last year.